August 28, 2017. Posted by Josie Holtzman. 62 years ago today, Emmett Till was killed in a lynching that became a spark in the civil rights movement. 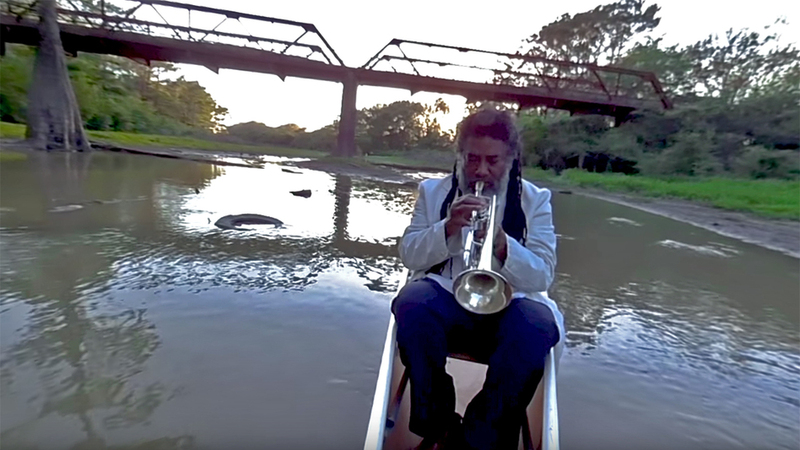 In April of this year, Jazz Night in America recorded Wadada Leo Smith performing a portion of his original composition "Emmett Till: Defiant, Fearless" while canoeing down the Little Tallahatchie River in Glendora, Miss. You can see that 360˚ VR video above. Glasper is a multi-Grammy winning pianist, composer and producer who has worked with everyone from Herbie Hancock to Kendrick Lamar. He plays across the worlds of jazz and R&B, innovating new boundaries across and between both. And his star-stacked ensemble, performing since 2012, is always evolving their neo-soul, hip-hop infused sound. 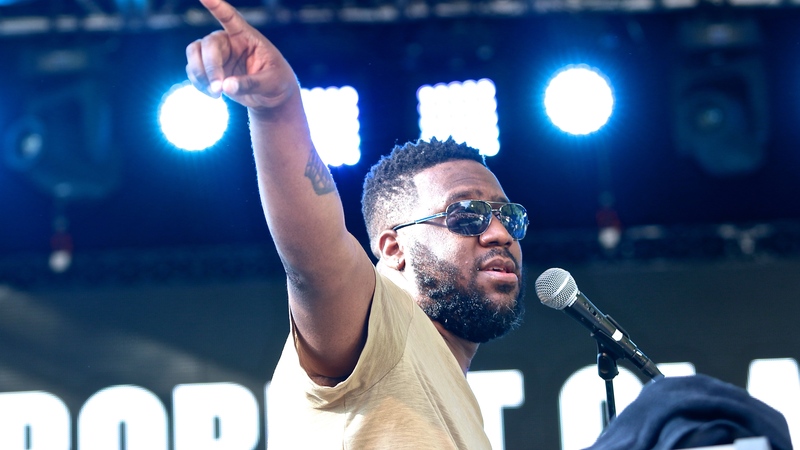 Glasper played a couple of summer shows in New York City, for Brooklyn Information and Culture — one of the largest free cultural programming centers in the city — at the Celebrate Brooklyn Festival in August 2016 and another in June, at the iconic SummerStage Mainstage in Central Park. This set features Glasper's usual genre-blending virtuosity and culminates with vocalist Bilal on the last tune, All Matter, which deviates into a mind-blowing REM, Mobb Deep jam. Almost exactly 30 years ago, guitarist John Scofield recorded an album he evocatively titled Loud Jazz. Not quite a decade later, he made one called Quiet. Both albums were statements of intent, widely embraced and justly acclaimed. And despite the obvious differences between the two, both were genuine expressions of Scofield's musical personality, which has always been more flexible than those extreme dynamic markings would seem to suggest. Scofield, of course, is one of the most prolific and admired jazz musicians of his generation, an ace with boppish phraseology as well as bluesy inflection. He's 65 now, and by some measures you could even say he's at the height of his career. Jazz Night In America caught up with Scofield this past spring, just before he played a concert called "Quiet And Loud Jazz" in Jazz at Lincoln Center's Appel Room. One portion of the night featured a reunion of the Loud Jazz crew, with partners like bassist Gary Grainger and drummer Dennis Chambers. Another portion recreated the chamber arrangements from Quiet, with Scofield's longtime foil Joe Lovano standing in for Wayne Shorter on saxophones. The idea was to both acknowledge and bridge the distance between the two disparate albums, which might have been more difficult were it not for Scofield's sly consistency. "It's not like other famous jazz musicians, where their style changes, you know, decade to decade," says Jim Beard, the veteran keyboardist on hand for the Loud Jazz half of the concert. "He sounds very similar to what he sounded like, you know, 30 years ago. I don't think he sounds that different. And it's just such a strong personal style that that's amazing." "I've got a pocketful of blues here still, you know?" says Charles Lloyd, the saxophonist-flutist-composer-bandleader who, at 79, has become one of jazz's enlightened elders. To the extent that it's a question, it's a loaded one. Musically speaking, the blues ring out loud and clear in Lloyd's imploring sound — no less today than 50 years ago, when he was sharing concert bills at the Fillmore Auditorium in San Francisco with Janis Joplin and the Grateful Dead. Or further back, when he was cutting his teeth in Memphis, Tenn. But Lloyd is also speaking metaphorically about that pocketful of blues, as a condition shared by all of humanity. A lifelong seeker, he's prone to framing things in such universal terms. He sees music as a means of transcendence during the fleeting time we have on this earthly plane; that's the unspoken implication in the title of his extraordinary new album, Passin' Thru. Recorded on tour last year, and just out on Blue Note, it's the most accurate portrayal yet of the intuitive, shape-shifting band known as the Charles Lloyd New Quartet, with Jason Moran on piano, Reuben Rogers on bass and Eric Harland on drums. Lloyd has led this ensemble on and off for the last decade, honing a deep collective bond as well as a quick, sinewy stride. The new album captures that dynamic in some new compositions, including "Nu Blues," which moves with a relaxed swagger, and "Shiva Prayer," which inhabits an elegiac shroud. But Lloyd also forages through his back pages, without compromising the here-in-the-moment alertness he refers to as his "nowness sutras." Passin' Thru features explosive new versions of a few old calling cards, like "Dream Weaver" and the galloping title track. Another example: "Tagore," a rumination that Lloyd used to play with his 1960s quartet, finds reinvention here as "Tagore On The Delta," a bluesy strut. Like much of Passin' Thru, it attests to the fully articulated artistry of Moran. (Listen to the piano solo on "Tagore" and you'll hear a tough, stuttering gesture Moran has used in his own music, notably on a recent piece called "South Side Digging.") But no member of the band exerts any greater influence than the others. Lloyd, who spoke with me in a midtown Manhattan studio in the spring, expresses a sort of humbled gratitude when it comes to the musicians who have gravitated to him in recent years. "All my life I would go up to the roof and I would call my people, and I'm waiting for them to come," he says. "And finally these guys show up, and gals show up, and something happens where they're in the now with me, and they seem to love it." Nate Chinen: One thing that strikes me about this album, Passin' Thru, is that it stands in two places, time-wise. You know, it's a very up-to-the-minute dispatch from your current band. But there are gestures toward the past: the title track, of course, is a song first heard on a Chico Hamilton album in 1962. And so, can you talk about the ways in which this recording straddles time — past and present? 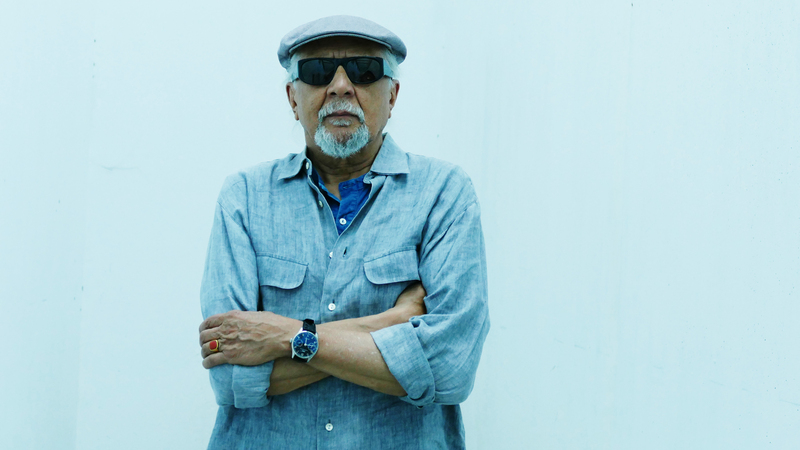 Charles Lloyd: Well, the time that I live in is that "nowness sutras," and those pieces spanning those decades, as you point out, they come from my childhood dreams of elevation in song. And so, "passing through." That's what we're all doing here. This is not our home — you can't build a house on a bridge thing. So I've always wanted to make a contribution. And that songs, they're my children. So they come to visit me from time to time. It's not the same manifestation, or it's not like repeating a song or something — it's about the ongoingness of what that is. And sometimes with this orchestra, we will start to play different pieces will come alive to us and speak to us. But I always dreamed of having an orchestra that could immediately get my signals, you know, and stay in the nowness with it and they get it. So all my life I would go up to the roof and I would call my people and I'm waiting for them to come, you know, and they come in some ways. And finally these guys show up, and gals show up, and something happens where they're in the now with me and they seem to love it. We started with Jason. We started up I think about 10 years ago, in Oporto in Portugal, and so we have gone from there. But what happened was, I was playing Carnegie Hall in 2005, I think, and Jason was backstage. And he and Eric grew up together in Houston, so they're both from there. Eric introduced me, and I didn't know Jason before. It was the Sangam trio, with Zakir Hussain and Eric Harland, which is another group of ours. And he said, "Your music touched me all the way to my backbone." So that's a Southern thing. And so we kind of went in there. And then a little later on, I had a tour and Geri Allen had double-booked herself, she was playing piano in the quartet. We had a long European tour and she could only do half of it. Anyway, Eric said, "Jason wants to play with you." So I said "I thought he had his own group." He said, "Well, he wants to play with you." So I didn't say anything and he said, "He understands." And that right there cemented it because Eric, he's an intuitive, you know. I've seen this band a handful of times, and it's always a transcendent and incredibly dynamic experience. And this album, to me, really captures that. It might be the first official release that fully captures the energy that this band has. Can you speak to that a bit, and whether you agree? "Nu Blues," and we played "Ruminations" and I wrote it for the suite, for Wild Man Dance, but it didn't make it there because I didn't think it was finished. When I came home and looked at the piano and played it, I realized it was finished. So these things are organic and they grow, they manifest. And what happens that, we've grown too, and and those nowness sutras that I keep talking about — now I'll stop using that word — is that we take this journey together, and we help each other every night. And when you saw us — you've seen us other times too, but at the 80th Vanguard thing — something happens with us where it just ... it takes off, you know? And I love that, because you're always looking for the zone when you play. And the benefit for me now of having more mileage on the chassis is that I don't have to — the benefit of experience in the years, because if you stay awake during your apprenticeship through here, a lot of blessings can happen for you, but wakefulness is the main one. And what happens there is that now, I get direct connection from the infinite that blesses me with song. And so the benefits of all those years, to be able to apprehend that with a group, and they can hear it in the sound, because it's sonic, you know; we're sound seekers. And we get these blessings. I'm not able to articulate it, I'm simply trying to say what you probably can put into words better, it's not my forte — but I'm very thrilled that we have this rapport. I didn't start the name New Quartet, it came around. People were talking about it as opposed to the first great quartet I had with Keith Jarrett, Jack DeJohnette and Cecil McBee. And this group here — it's its own entity. There's not comparisons such as that. Even in our day, with that group 50 years ago, it was very organic and very beautiful, and we'd go exploring every night. And we didn't come back the same. But it was beautiful. I also think about this really interesting convergence of spiritual searching and a really earthy groove energy that this band has. And I think on this album, there's a song called "Tagore On The Delta" that that really brings that home. You know, it has so much — almost like a Motown stomp. And it has a real Southern energy, which is something that most of the members of this band have in common. We're all Southern, yes, continue. Well, it's all one. Because when I was a little boy, I didn't understand the mechanics of how the game was set up in racism and all these things how the world was in dysfunction. I came to find, when I came here to the city to live, around the 1960s, I was always trying to change the world. And then I realized that I hadn't done any parts of that. But what I could do is change myself. And I had a very beautiful blessing from home, which is in the manifest of Booker Little, whom I grew up with in Memphis. People don't know about him, but he was a great spiritual master. He had attained perfection at the age of 23 when he left, and he took me home with him. I was staying at the Alvin Hotel, where Prez stayed and all that, but he took me home with him and said "No you're not, you're coming with me." And he talked to me for several months, night and day, like that. But it straightened me out about character and such, because I was ready to jump into the fast lane, being here in the city. But what happens is that that the West with its idea of religion, it didn't touch me as deeply as the East did, because [in the West] they were always talking about sin, and in the East they say, "you fall down a lot, but get up." And I was drawn to that. And Tagore was a great Indian poet, Rabindranath Tagore, and he was someone that moved me greatly. And then I realized — I had recorded that piece, "Tagore," with Keith Jarrett and those guys, but this time I realized that the Delta is upon me, because I come from there. And I've been going home to Memphis to play a lot over the years now. I had never done that for about 40 years — they hadn't invited me. Now they invite me annually and I go back to play concerts and those invisible bonds — I played with those people like Howlin' Wolf and Junior Parker and Johnny Ace and Bobby "Blue" Bland and B.B. King, all that stuff. And it was very profound. So the profundity of that, how important it is to me and was, and that's such a source. And to have been a part of that, and to have had that blessing and to play with this guy Willie Mitchell, who was a modernist, who had a big band that played like Dizzy's big band. There were always these geniuses in Memphis, like Phineas Newborn and Willie Mitchell, and they would always bring something. And so I imbibed all of this, and with Tagore and with my dreams of how to, say, facing the mirror of my inadequacies and such like that, and and rising up, it comes together with my Delta blues, you know? Right. It's interesting to think about that Memphis history being reignited in you, in a way, because you've been going back. This place is Mecca — New York City — for us jazz musicians. When we came here, we knew about guys in other towns, Underground Railroad stories and such. And then Memphis was such a source place that the fact that I was there was such a blessing. I thought was a strange place to be born, you know. But when I look back in terms of process, it was Mecca, too. Because I remember I would play with Phineas Newborn, Calvin Newborn across the river in West Memphis, Ark., at the club called the Plantation Inn, and Elvis would come over every night to watch watch Calvin, and to study his moves and stuff, you know? There was this pedal-steel guitar player, a white boy named Al Vescovo, that used to play on the Sunday afternoons before we would go to play, and he loved my playing. And he was playing with the Snearly Ranch Boys, but he had an affinity for me, and we would get together and jam. We couldn't play publicly together in that place at that time. But now I'm playing with a pedal-steel player, so the same thing you're saying, the juxtaposition of modernity and the wisdom of the ancients, of Howlin' Wolf, it all seems to be connecting for me. Do you feel — as you are thinking about "nowness," to use your word, are you also reflecting more on your own history, on your own musical life? Do you find yourself returning to things more often, or in a more concerted fashion? Well, when when you speak of repertoire earlier, "Passin' Thru" and such, I don't plan that. Those pieces, they come up. But, it's a cauldron, and you know, you must understand your past to go forward like that. So I don't see lines of demarcation or any of that kind of stuff impeding what's going on. And so I'm just in it but not of it. But something happens where I get the vision of how important it is to bring that with me, because I've got a pocketful of blues here still, you know? I got to talk that and realize that all of humanity, we've got a pocketful of blues, and I don't understand why the world doesn't straighten out and be straight-up and character and be kind to each other and like that. But since I can't understand it, as a young man I blew fuses and had to go away. Now, as an elder, I can come and sing this song and those who are open to it, they receive it, you know, around the world. And it's becoming universal, so to say, and I have friends and allies in all kinds of countries, and musicians in Greece and India and different places that I play with, and Africa. So I'm still very young at this, and freshness always calls me. I love the blessing of freshness. We were talking about nowness, but it's connected. And so, I want to go and imbibe the deep truth of whatever it is I'm shining a light on. As I listen to this album there's something so exciting about the feeling that a song can veer in any direction at any time, and sometimes it happens — as in "Nu Blues," when Eric takes a drum solo that veers off into the stratosphere, or when Jason plays a piano solo on a tune, it really can follow these different paths. And I wonder for you, as the leader of this group — when that happens, do you feel like you are hitched to a comet? Do you feel like you're standing back and watching this thing happen? Or do you feel like you're leading the charge? You know, that brings something to mind. Once I was in Montreal and Wayne [Shorter] was playing there with his quartet. And we were friends from way back in the day: I was with Cannonball Adderley and he was with [Art] Blakey and we'd meet up and hang out and play together and all of that kind of stuff. And I remember the next day after the concert, the critics writing that the trio was great but Wayne was kind of lacking or something like that. But Wayne was quietly directing all of that stuff, you know. I don't think they got it. Because he was sitting on the stool playing or whatever was going on. It was amazing to me how he was directing the ship. You know, so when they're soloing, I'm in there, I'm playing with them. When you play with me, of course it's the thing that Art Blakey always said, make sure the crime fits the punishment, you know, and the punishment fits the crime. I'm sorry, I said it backwards, but it's the same. So what I'm saying is that if I have the right ingredients, these great artists, Jason Moran and Eric Harland and Reuben Rogers — they like to be here and they say they get something here they don't get other places, so it's the benefits of experience. See they like something about the days, they hear it in my sound. And I like the flexibility that we can turn the ship around now, rather than trying to build up to something. As you say, it can seem quirky, but it's actually — these miraculous moments happen, and I dream and live for those. And since I always lived in that zone, my people finally come to, my tribe, as Duke Ellington would say ... But I'm so thrilled that it keeps happening in my lifetime, that people come, because I think if that were not the case, that long sabbatical I had and going up on the roof — I think that if they hadn't come, I probably would still be in nature, you know, because I'm drawn to nature and I draw a lot from that. But I'm extremely moved about what I'm doing, and it's backing up on me because there's so much music that wants to floodgate out, you know. So this group — 10 years, I think, but that's nothing, you know, in time. But if you make a connection — like, Eric is the closest to me, and it's a direct manifestation from the great master Billy Higgins, because he left in May of that year of 2001, and in September I met Eric and he said that he would always be with me, and he sent Eric to me and we have this very close thing of — I had it with Jack DeJohnette with the old quartet, it's the drummer that something happens with. Billy Higgins always said that his job was to make this music sound the way it's supposed to sound. Well, he meant that, you know, "Lonely Woman" or whatever he was doing playing double time on Ornette's stuff. So I think all the great leaders — the same thing with the film directors, those great people like John Ford and Howard Hawks and on and on. They get the right ingredients together, and talent, and they let them give them their freedom. And it's been expressed in Sangam as well as in this band. And many times I've seen the two of you connect. At the same time, Eric and Jason have this history that goes back to when they were teenagers. And all of that, you can't parse that. But all of that manifests in the chemistry of this band. Oh, yeah, yeah. Lots of growth and, how to say, that thing about freedom and wonder, which is what this music is. We mean that. And you have people who are dedicated to truth and love, and they express that, and we travel well together — we look after each other and such, and we do it on the bandstand, too. And, I like that they're all explorers, too. And so am I. We don't have disagreements. And if when we we play something, or I quietly speak to something, whatever that is, I don't know that they come to me to speak about things, but they seem to understand and I'm not a dictator here. I'm in service, we're all in service. But we're in service to an ideal that was before their time, you see. And yet they bring something from their coming up, you know, in this environment. And it only adds, it doesn't detract. And it doesn't make — there's no alien stuff in what they're doing to me. As the old-timers said, there's nothing new under the sun. So it's just how you can apprehend it, or how you can be be available to it. I like to be available to it because it will come up on you and it will give you something. And it's a direct, for me, now, these sonic touchings, they come direct from the Creator and I hear them in my mind's ear, and I'm getting closer and closer. We've just been recording, and I noticed that finally after all these decades of — engineers never get my sound. It seems like what they do when I record, the microphones sound different than I hear myself in my mind's ear, or you can hear me if you're sitting there a few feet away from me, or in the hall. But I'm getting closer to hearing it. And it's the same thing with the other musicians. It's a tone thing. What I love about it is that it's still evolving and still growing and has freshness. Yeah. Well, there's nothing more rewarding than the idea that this is a music that is not only continuing but constantly renewing. And I think that this album is wonderful evidence of that and thank you so much. I thank you and I appreciate your — how to say, receiving it, and knowing what it is and to experience it. You're a young man, but at the same time, we've all been through here many times whether we know it or not. So the cumulative benefits of that and karma and all of that sort of thing and reincarnation. I think that somehow, we're all, life is ever-evolving. It might not seem like so in the current moment of, how to say, dysfunction of the condition of the condition. However, I think that we can go forward in the music, and tell stories that can elevate and give people their own stories to be told.